It's important to us that we do what we can to protect our environment. 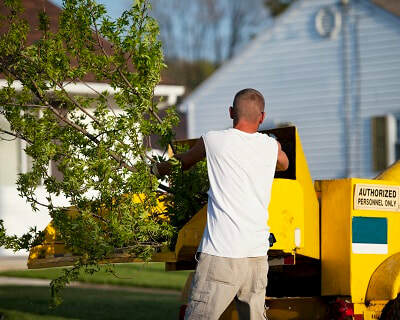 So you can be sure whenever possible we recycle trees and reuse all the waste materials that are inevitably produced through tree removal, pruning, hedge cutting and stump removal. Years ago this waste would have been burned and some tree surgeons still do this as standard practice. We'd rather find a use for garden waste, so whatever we can't turn into logs, we make into woodchips, which are then used by a local farmer for cattle bedding, topped with straw. Once the cows have finished with it, the bedding is composted until ready to be spread back on to the land. This recycling of trees is a huge step forward in being eco-friendly tree surgeons and we pride ourselves on our progressive attitude. We are also exploring ways to replace all felled trees with newly planted trees in an effort to increase tree coverage in the whole of the UK.